After working all week whats the last thing you feel like doing on your precious two day break? Cleaning you Windows! Most homeowners have great intentions as far as window cleaning goes, But life gets in the way 6 months turns into 12 then 2 years before you know it! If you have a two storey house getting access to reach that hard to reach glass, is just about impossible without the right equipment. And because you are not a window cleaner the glass will probably end up smeary. Window Cleaning Slacks Creek, Brisbane. This morning Phils Cleaning are Window Cleaning in a two storey house in Slacks Creek. We clean this house once a year first we clean all the windows inside and out, then we clean all the carpet to the bedrooms and the lounge room. Phils Cleaning are cleaning windows in The Gap This week, Its funny how you don’t go to some suburbs for months and then all of a sudden you are there three times in a week. This is one of those weeks! And mostly old clients that are rebooking to get their windows cleaned again. Doesn’t 12 months fly? A lot of my clients say when they eventually ring me to re book their window cleaning, that they had been meaning to ring me for the past year but life gets busy with one thing and another. So now every 12 months I will try to send out a reminder postcard just a gentle nudge that its been 12 months since we cleaned the windows and if they would like to rebook just give me a call. Its also another card with my phone number on in case you lost the last one. Window Cleaning Brisbane, Algester. Window cleaning in a lowset house in Algester today. The couple have just built a house in yarrabilba and are in the process of moving into their new place and cleaning up their old place. I think they had ambitions of cleaning their windows themselves but after they watched me and Sean clean their windows they said we can do their new place aswell! Are you thinking about selling your home? Do you have a open house this Saturday? My son Sean is looking for his first house at the moment and we have been looking at some open houses over the last couple of weeks. It surprises me how many houses haven’t had there windows and tracks cleaned. You want prospective buyers to see your house in its best possible light and bright clear windows will let in the natural light. Did you know that Bright and Clear windows can increase the street appeal of your home, potentially raising the real estate value of your house. Window Cleaning in Kedron today, Phils Cleaning are cleaning windows in a split level house in Kedron for a lady who has a family birthday party this weekend. She is having about thirty people over including lot of kids. Well she has got clean windows at the beginning of the party, they probably will need to be done again soon after. Window Cleaning Brisbane, Sunnybank. Phils Cleaning are cleaning windows in sunnybank today a typical older two storey red brick sunnybank house! We Have cleaned the windows for this lady for years, and we have built up quite a relationship. Every year she has a box of chocolates for my son. She is getting older and her eyesight is failing her but she still wants clean windows. We like to base our business on repeat work and over the last 12 years in business we have seen children grow thru their school years, university, and in some cases married with there own kids. Christmas has been a busy time for Phils Cleaning. We have had a team of 4 for the most of December, including my wife Jasmine, and sons Sean and Alex we certainly cleaned a heap of windows all around Brisbane. To all my customers all around the different suburbs of Brisbane have a great Christmas and a happy new year! Window Cleaning Woollowin, Brisbane. Phils Cleaning are cleaning windows in a two storey town house in the suburb of woolowin, and what a big townhouse that was. Almost the size of a two storey house. Lots of security bars all over the windows and lots of security screens aswell. It came up pretty good you could certainly see the difference. Don’t forget if you need to get your windows cleaned in or around Brisbane give phil a call on 0407 653 319. Window Cleaning Carina, Today Phils Cleaning are cleaning not just windows, but also we also have been carpet cleaning, upholstery cleaning. And a full pest control inside and out on a three bedroom house in Carina, all within walking distance to Bunnings and Canon Hill Shopping centre. If you need a window cleaner in Brisbane give phil a call on 0407 653 319. Window Cleaning Brisbane, Phils Cleaning are cleaning windows in Brisbane today, a small Queenslander with a wrap around verandah, A few double hung windows, and some casements. A typical mismatch of all different types of windows added on to the house over the years. If you need a window cleaner in Brisbane give phil a call on 0407 653 319. Window Cleaning Mt Ommaney, Brisbane. Today Phils Cleaning are cleaning windows in a two storey house in the Brisbane suburb of Mt Ommaney. A traditional house with 4 bedrooms upstairs and all the living downstairs. A two storey home usually takes us about 3 hours to complete with two of us cleaning. One of us will start on the inside vacuuming the tracks, and the other will start on the outside cleaning the screens and then the outside glass. Once all the outside of the windows are done we come inside and work on the inside until all the glass has been cleaned. So when searching for window cleaning Brisbane for a quote for your window cleaning don’t forget to make sure they do all of the above. Window Cleaning Sunnybank, Brisbane. One of my regular customers rang me the other day, She had family coming over from New Zealand and needed to get her windows and screens cleaned. We do this job on a regular basis at least once a year so the glass is starting to maintain nicely. For Phils Cleaning, Regular window cleaning jobs are our bread and butter they keep us busy for most of the year. Another way we get business is from customer referalls, We aim to make all of our customers happy with the final job so when their friends or family ask if they know a good window cleaner in Brisbane they will always recommend us. In a lot of cases we get to know the families and see the kids grow up and go to university, and then we will clean the windows for the grand parents aswell. If you need to get your windows cleaned in Brisbane give phila call on 0407 653 319. Window Cleaning Camp Hill, Brisbane. Today Phils Cleaning are cleaning windows in a three storey house in Camp Hill. We cleaned this house 12 months ago so its time for its regular window clean. A typical three storey house, ladder at full extension. Big fixed panes and plenty of louvre windows. If you have a property in camp hill and need to get your windows cleaned, give phil a call on 0407 653 319. Type in under Google or Bing the search Window Cleaning Brisbane and see what comes up in the search. The top of the page and the right hand side is for Google Adwords where a company can set a budget and have their website on top of the first page. Of course it depends on how big your budget is as to how long you stay on top! You can set different keywords relevant to your individual business, for me my main keywords are Window Cleaning Brisbane as this gets me exposure all over Brisbane. But I also use keywords like Window Cleaner Brisbane, Window Cleaning, Window Cleaning Brisbane Southside, Window Cleaning Brisbane Northside Commercial Window Cleaning or Domestic Window Cleaning. Basically I am trying to find what you the customer would type in to find a Window Cleaner for your particular suburb across Brisbane. I then go to some of the local suburbs to where I live so if you typed in Window Cleaning Springfield Lakes I would have that as a keyword or relevant phrase. Today we have been Window Cleaning in Brisbane in the suburb of stretton on the southside of Brisbane. But to some information about my website www.philscleaning.com.au I have let my domain name registration renewal slip, so unfortunately I have slipped off page one for the google search window cleaning Brisbane. So to all my loyal customers and my new customers trying to find a window cleaner in Brisbane for the first time my apologies, and hopefully we will be back on page one soon! In the meantime I will be sending out postcards to my regular clients as there 12 monthly revisit comes around. Winter is here and most nights I am tucked up in front of the fire keeping nice and cosy! But during the day Phils Cleaning are busy cleaning windows all around Brisbane. And its a great time to get your windows cleaned as most of the days are dry and not so much storm activity.Give phil a call for a free quote on 0407 653 319. Window Cleaning Daisy Hill, Brisbane. The houses along this stretch of road have a great view out towards Tamborine mountain, and the border ranges. It is a two storey house with lots of stacker doors that all push open for a uninterrupted view. A great place for afternoon tea on the back patio. If you need your windows cleaned around Daisy Hill give phil a call on 0407 653 319. Window cleaning in Wavell Heights today. One of my regular clients just had a massive tree removed, and the tree loppers got tree sap over all the glass. It took a lot of extra rubbing to get it all of the glass, but it come up great! There was some very big panes of glass up high with the sun beaming on them all day, We managed to get them clean using our Reach it Pro carbon fibre extension poles. It pays to have the right gear for the job. Do you need to get your windows cleaned in Wavell Heights give phil a call on 0407 653 319. Window Cleaning Tenneriffe, Brisbane. Today Phil is cleaning windows in a converted old Queenslander which has been raised and modernised to the rear. The house is going up to auction in about four weeks, So we are making it sparkle for the open houses! Car parking is at a premium around this house and we always have to park in front of their garage just to get close to the house. If you have a open house coming up any where in Brisbane and you want your windows to sparkle give phil a call on 0407 653 319. Window Cleaning in Pullenvale today, Phils Cleaning are working the Pullenvale area cleaning windows in a couple of large lowset homes. The first one was a rammed earth house built with very big logs. Heaps of different types of windows from double hung windows, casements, stacker doors and lots of patio doors broken up into lots of small panes. And to finish it all we cleaned a massive pool fence which come up a treat.If you need a window cleaner in or around Pullenvale give phil a call on 0407 653 319. Window cleaning Ascot, Brisbane. A massive three storey house with views to both Gateway Bridges, The Port of Brisbane, and Moreton Island in the distance. It took the two of us three hours just to clean all the glass pool fencing and the balustrade. The top glass we could only reach with a waterfed pole which can reach up to five stories. It was good to see the view thru nice clean glass! If you need a window cleaner in Ascot, Brisbane. Give phil a call on 0407 653 319. Window cleaning Greenbank, Brisbane. Today phils cleaning are cleaning windows in a lowset house in greenbank, Brisbane. A typical lowset house on acreage. Lots of windows and heaps of spiders and webs all over them! The screens really needed a good clean, to clean the sliding door screens we washed them in hot soapy water and then hosed them of. To finish it of we then cleaned their lounge suite. If you need a window cleaner in greenbank give phil a call on 0407 653 319. Carpet Cleaning Parkinson, Today Phils Cleaning are carpet cleaning in the Brisbane suburb of Parkinson for a client who is moving out of their rental property and needed to get all the carpets cleaned, and a pest control to all the internal of the home. if you need a carpet cleaner in Parkinson give phil a call on 0407 653 319. Phils Cleaning are having the day off today, So no window cleaning in Brisbane today. We are heading away from south east queensland and heading up to Baggara, close to Bundaberg to see the turtles hatching. What a great experience to see all those tiny turtles pouring out of the ground and running down to the sea! Definitely a once in a lifetime experience! And we also missed all the storms that Brisbane copped over the weekend. Window Cleaning Seven Hills, Today Phils Cleaning are cleaning the windows in a two storey house backing on to the bush in seven hills Brisbane. There is a large glassed patio with views into the trees, a very relaxing place to work! If you need a window cleaner in seven hills give phil a call on 0407 653 319. If you need a window cleaner in any of the following suburbs give phil a call on 0407 653 319. Window Cleaning Sherwood, Brisbane. Today Phils Cleaning are cleaning windows in another Queenslander in the Brisbane suburb of Sherwood, The lady had a birthday party on the weekend and needed the windows to sparkle! The windows consisted of traditional push out casement windows and lots of them! And some nice French doors of the patio area. If you need a window cleaner in the Sherwood area give phil a call on 0407 653 319. Carpet Cleaning Springfield Lakes, today we are cleaning carpets in a rental property in Springfield for a customer we have cleaned her carpets every time she moves house. Remember phils cleaning have a truck mount machine so your carpets will cleaner and dryer when we leave. If you need to get your carpets cleaned or your windows cleaned give phil a call on 0407 653 319. Window Cleaning Brisbane, Yeronga. Today Phils Cleaning are cleaning windows in a old Queenslander in Yeronga. Dating back from the 1800s a real old beauty! It had the traditional old verandahs with French doors opening on to it. Most queenslanders have a real mixmatch of windows from all the different renovations, but this one had all the old original windows. If you live in Yeronga and need a window cleaner give phil a call on 0407 653 319. Window cleaning in the rain! Brisbane was certainly wet today! Thanks for all my customers for allowing us to reschedule their jobs to another day as it is very difficult to keep dry when its bucketing down. Window cleaning in Springfield Lakes Brisbane today, There seems to be a lot of movement in the real estate market at the moment. Phils Cleaning have been extremely busy getting houses ready for their first open house! Nice bright clear windows and sliding doors make a big difference to the light in your house. A lot of customers say it seems to open up the house when you get the windows all cleaned. So if you are thinking about putting your house on the market give phil a call on 0407 653 319 for a free quote. Window Cleaning Brisbane, Today Phils Cleaning are cleaning windows in Bellbird Park, For a elderly lady who likes to keep her glass nice and shiny! We clean her windows on her split level house twice a year. And remember we clean window the old fashioned way with hot soapy water and a squeegee, not a hose! For all your window cleaning Brisbane needs give phil a call on 0407 653 319. Window cleaning Brisbane for 2015, Phil here from Phils Cleaning. We have had a massive Christmas cleaning windows from one end of Brisbane to the other. Thanks to all my loyal customers for all their repeat work! So we welcome 2015 and wish you all a happy new year! Window Cleaning Brisbane is in the air, or perhaps its just spring in the air! The phones have been running hot and work is booking up fast. The good thing for us is that now my son curt who a lot of my older clients would no has a van on the road full time. So if you ring us because you need a window cleaner in Brisbane and I cant personally do your job it can be passed on to curt for the same professional job at the same rates! But saying that, Christmas is just around the corner so think about when you need to get your windows cleaned and book in early to avoid missing out! Window cleaning Springfield Lakes today, as part of our window cleaning service we offer a service of preparing your house ready for sale which includes. Cleaning all exterior screens, loosening up all the dirt in your tracks then vacuuming the tracks out, then we pre wet the glass, wipe around the frames, and then clean all your glass both sides finishing up wiping out the tracks. When your house needs its photos taken it is important to get this done first as it adds to that wow factor in your photos! And just as important as your first open house. Remember first impressions are what might just sell the house. So today phils cleaning are window cleaning in springfield lakes getting a lowset house ready for its first open house this weekend.Dont forget if you need any window cleaning in Brisbane give phil a call on 0407 653 319. Phils Cleaning is a small family run Window Cleaning Springfield Lakes Brisbane Business.Also servicing Brookwater, Augustine Heights, Camira and Springfield. The Team. As we are a small family business we dont just send anyone out to clean your windows.It will be myself my wife Jasmine or one of my sons Curt or Sean. The Process. At Phils Cleaning we clean windows the old fashioned way we use soapy water to wash the window, wipe around the edges of the glass with a microfibre rag and then finish of with a squegee. Why do we use squeegees. People who clean with rags will notice the rags leave streaks that are revealed when the sun hits them, as well as spray on products bought at the supermarket that will leave smears. Our professional window cleaning Springfield Lakes service provides streak-free cleaning! Our touch-ups are done with style, to give you the best view possible. We vacum the tracks. We loosen the dirt with a brush,then vacum the tracks. Owner Operators – we do the work ourselves. Phils Cleaning also provides other services In Springfield Lakes including, Carpet Cleaning , Window Cleaning , Pest Control , Tile Cleaning. Springfield Lakes is approximately 29km south-west of Brisbane. The major shopping centre is the Orion Springfield. Springfield Lakes has its own university, USQ Springfield Campus. Window cleaning Brisbane Bayside today. Phils Cleaning are window cleaning a two storey house in thornlands. All the windows are double hung with fly screens on the front. We were able to take the screens out and wash them which gives us a great result. Don’t forget if you need a window cleaner in Brisbane give phil a call on 0407 653 319. Window Cleaning The Gap, Brisbane. Window cleaning in The Gap today. Getting a house ready to go on the market. And doesn’t bright clear windows make a difference! It seems to open up the house and let more light in. So if you are thinking about putting your house on the market and you need a window cleaner Brisbane to come and make your glass shine, give phil a call on 0407 653 319. Well Friday is here again, the weeks are flying and at this rate it will be Christmas before we now it! If you need a window cleaner in Brisbane ,Don’t forget it is never to early to book in to get your windows cleaned for Christmas! Today Phils Cleaning are working in the Calamvale area, cleaning windows for a regular customer who gets her windows cleaned every year. Then off to do some window cleaning in Brookwater a nice big lowset house by the golf course lots of windows including a lounge room full of louvres. If you need to get some windows cleaned and you live near Brookwater give phil a call on 0407 653 319. Window Cleaning Sunnybank Hills, Brisbane. Today Phils Cleaning are starting at Sunnybank Hills cleaning the outside of the windows to a lowset house, We have been cleaning this ladies windows for the last 8 years and we always just do the outside glass and screens. The customer cleans the interior glass herself. Then we took off to St Lucia to clean all the windows in a apartment on the third floor, we were able to reach all the glass as the screens come out from the inside.For all your window cleaning Brisbane needs give phil a call on 0407 653 319. We started of the week cleaning windows in Augustine Heights a nice split level home on a hill with views of bush in the distance, the rest of the week we worked all over Brisbane including, window cleaning middle park, window cleaning toowong, window cleaning Hendra, and finished up cleaning all the window in a big two storey house in Wavell Heights one of our regular customers who gets her windows cleaned about once a year. Remember if you need a window cleaner in Brisbane give phil from phils cleaning a call on 0407 653 319. Do you need a window cleaning Brisbane professional, but like the touch of a small family run business where you get to deal with the owner of the business, rather than a crew of workers? Give phil a call and we can organise to get all your windows sparkling again! And you can feel secure in the fact that it will be myself one of my sons Curt,Sean or Alex or my wife Jasmine. Please give me a call on 0407 653 319. Phil here from phils cleaning. We have had a busy month cleaning windows all over the greater Brisbane area, but don’t forget we also clean windows out in all the outer suburbs of Brisbane. Yesterday we were cleaning the windows for a lady who lives in greenbank and needed to get a window cleaner as she was putting her house on the market and wanted her windows to sparkle! So if you need a window cleaning Brisbane professional to clean your windows give phil a call on 0407 653 319. Phil here from Phils Cleaning. We are cleaning windows today at a big lowset in Upper Brookfield that we do on a regular basis, usually about twice a year. Every time your windows are due to be cleaned we send you out a reminder in the way of a postcard just to remind you that’s its been 12 months since your windows have been cleaned. Don’t forget if you need a window cleaner in Brisbane give phil a call on 0407 653 319. Window Cleaning Brisbane. Its Phil here from Phils Cleaning again, and hasn’t it been busy for the last month! But now winter is officially here and its now a great time to get your windows cleaned. A typical winters day cool in the morning and evening but great conditions during the day for window cleaning. So any one out there who needs some window cleaning in Brisbane give phil a call on 0407 653 319 for a free quote. Window Cleaning Brisbane. Today Phils Cleaning are window cleaning at a two storey house in Wakerley, Brisbane. About 12 months ago while cleaning the windows for the first time, the customer saw that we also did pest control. I advised them that the pest control should be done before the window cleaning as you always get a certain amount of pest spray on the glass and it tends to run down and make a real mess. So they booked the windows and pest in together which works a treat. If you need to get your pest control done and your windows cleaned anywhere around Brisbane give phil a call on 0407 653 319. Window Cleaning in Parkinson today, a big lowset home in the Lakewood side of Parkinson with lots of glass the house had fly screens so we were able to remove the screens and give them a good wash. Then we paid some attention to the dirty tracks! First we loosen up the dirt with a small brush and then vacuum the tracks out. And then we clean all the glass inside and out. Don’t forget if you need to get your windows cleaned in Parkinson give phil a call on 0407 653 319. Do you need a window cleaner in Brisbane, Have you searched thru google for a window cleaning Brisbane company, perhaps when searching you found Phils Cleaning which is great for us! We are a small family based window cleaning business based in all Brisbane suburbs. We clean windows the old fashioned way using warm soapy water and a washer, then we squeegee the glass clean for a bright smear free finish. This past week we worked from Algester in the south of Brisbane, to bunya in the north of Brisbane and all different suburbs all across Brisbane. Today Phils Cleaning are window cleaning in forest lake a big two storey house we clean every year. We clean all the windows, clean all the screens, and vacuum all the tracks, and to finish it all off we then cleaned all the pool glass it took Sean and I four hours to complete. And then we booked it in for the same time next year! If you need to get your windows cleaned anywhere across Brisbane give phil a call on 0407 653 319. Phil here from Phils Cleaning. We are a small family based window cleaning business based all around Brisbane. We clean windows in every suburb across Brisbane from Kenmore in the Western Suburbs, thru to Redland Bay , and out to Redcliffe and beyond! We base our business on referrals when we first come out to do your job we make it our mission to make you happy with our window cleaning job, happy enough to tell all your friends and family about us. So before long we are window cleaning all across Brisbane for all your family and friends. For all your window cleaning Brisbane needs call phil at Phils Cleaning for a free quote on 0407 653 319. Window Cleaning Brisbane. When you type this into a search engine like Google, you get a list of 10 or so web sites all trying to get you to ring them for your window cleaning needs. So looking thru the different window cleaning Brisbane websites what catches your eye and makes you ring that particular window cleaning company? Its usually the look of the website that pulls you in, it need to be nice and bright with modern pictures relating to window cleaning. But once you are in the website its the content of the site that is important it needs to explain how the window cleaning is carried out what sort of tools are used. Also is the window cleaner a sole operator, or a small family based window cleaning business based in Brisbane. Or is the window cleaner Brisbane business a large business with several vans on the road and employing uni students to do the window cleaning. Once you have made the right choice and have had your windows cleaned and you are happy with the job make sure to retain the phone number of that window cleaner in brisbane so you can get them back next year and save the exercise of looking for a window cleaner in Brisbane all over again. Phils window cleaning brisbane are having a busy week cleaning windows all across Brisbane. And we seem to be getting a run of old replica queenslanders with double hung windows and fly screens on. Today we cleaned the windows in Paddington the lady got our phone number from one of the many paper adverts we run weekly all across Brisbane. This morning we cleaned some windows in forest lake for a customer who gets her windows cleaned every 2 years, a smaller lowset house with not so many windows a bit of a change from all the two storey houses we have been doing lately. If you need a window cleaner in Brisbane call phil on 0407 653 319. Do you need a window cleaner in Brisbane? Phils Cleaning are a small family run window cleaning Brisbane business. Today we are window cleaning in Kenmore Hills, a big old red brick two storey house perched high on the hill, views on one side to Brisbane and beyond, and the other side you can see out to Pullenvale. They have a big pizza oven in the garden to die for. The windows were a mixed bag some old double hung windows, some casements, and a section of modern aluminium windows in a new extension. If you need to get your windows cleaned in Kenmore Hills give phil a call on 0407 653 319. Phil here from phils cleaning, This week we have been window cleaning on the northside of Brisbane. Staring of with a window cleaning job in ferny grove a typical 20-30 year old red brick 2 storey house. Normal aluminium sliding windows. It come up a treat. The next job for the day was in Nundah another big two storey! The rain managed to hold off for us to get the jobs finished. For any window cleaning on the northside give phil a call on 0407 653 319. Phils Cleaning now have a van based down the gold coast, So for all your window cleaning needs on the gold coast give phil a call on 0407 653 319. If you have a small town house in southport that needs the windows to sparkle to a massive house on a canal front property. For all your window cleaning gold coast needs give me a call for a free quote. Phil here from Phils Cleaning. A busy week ahead for phils cleaning starting of with a big window cleaning job in Narangba where the window cleaning job turned into pest control, and then all the carpet cleaning aswell it all made for a very busy day. The rest of the week we cleaned windows in Bellbowrie, Belmont, Carindale, St Lucia, and finished of window cleaning in Parkinson. If you need a window cleaner in or around Brisbane give phil a call on 0407 653 319. Phils Cleaning have started back window cleaning with a bang! Today we were window cleaning a two storey house in stretton Brisbane. Late in the afternoon a major storm front come thru and we had to pack up, to much rain, thunder and lightning. We thought it was safer to go home and finish it another day. call phil for a free quote on any window cleaning you need to get done around the stretton area on 0407 653 319. A very big thanks to all my customers over the past year! And hasn’t the year just flown! Phils Cleaning are having a break over xmas starting back just after new year. So if you need to get your windows cleaned in the new year or if you just need to get a quote on window cleaning in or around Brisbane give phil a call on 0407 653 319. Window cleaning in Kuraby this morning a big two storey house, lots of glass. Then we are off to clean the clients brothers house in stretton. It turns out there is a wedding in the family and a lot of relatives will be visiting so hence the windows needed to be cleaned.If you need a window cleaner in Brisbane call phil on 0407 653 319. Just about 2 weeks left before xmas! Phils cleaning still have a few spots left for anyone out there in Brisbane who needs to get their windows cleaned, but time is running out. Today phils cleaning have been window cleaning all around Brisbane, starting off in Wishart,then of to Chelmer then Westlake and then finished of the day at Richlands. If ou need a window cleaner in Brisbane call phil on 0407 653 319. Window cleaning in Cornubia today a big two storey house old fashioned timber windows some double hung, some casement windows and the rest are normal old aluminium sliding windows. The windows had fly screens so fortunately we could take them all out and give them all a good soapy was and hose of. If you need a window cleaner in Brisbane give phil a call on 0407 653 319. As the year comes to a close everyone at phils cleaning are busily cleaning windows all across Brisbane. The phones have been running hot and we have a few spots left before xmas is upon us. If you need to get your windows cleaned give phil a call on 0407 653 319. Phils Cleaning are out there window cleaning in Brisbane today, dodging the rain and thunder storms that are hammering the south east corner! We are cleaning windows in a typical Kenmore hills two storey house lots of normal old aluminium sliding glass windows. The couple had just had a baby only been home from hospital for a week and just wanted the place to be brightened up. If you need to get your windows cleaned call phil on 0407 653 319. Today phils cleaning are window cleaning in banyo, A typical two storey house normal aluminium sliding glass windows, security screens all around. After we finish the window cleaning we will then do some upholstery cleaning a three piece suite macrosuede material should come up a treat! if you need to get your windows cleaned give phil a call on 0407 653 319. Window cleaning in Brisbane today in the suburb of hawthorne. A historic house set on the Brisbane river with views to the powerhouse museum. The wind was howling so bad today I had to have my son sean holding the ladder as it was not staying where it should! The house had mostly old timber windows and from up the ladder we had great views all the way down to kangaroo point. From old houses with timber windows , to modern three storey houses with louvres and lots of hard to reach glass call phil from phils cleaning to give you a free quote on 0407 653 319. Phils Cleaning are window cleaning in Bellbowrie today, Starting off with a large lowset house lots of glass. Windows and sliding doors, louvres and some pool glass. If you live in the centenary suburbs of Kenmore, moggill, Bellbowrie, Pullenvale, and you need to get your windows cleaned call phil on 0407 653 319. Spring is in the air in Brisbane and everyone has decided all of a sudden, that its time to get their windows cleaned. The phone has been running hot! And Christmas is still three months away! If you need a window cleaner in Brisbane call phil now on 0407 653 319 and book in to get your windows, screens and tracks cleaned. Do you live in the Brisbane suburb of Redland Bay? 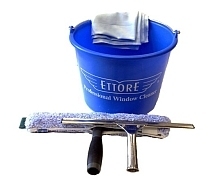 Have you been thinking about getting your windows cleaned. Today phils cleaning have been cleaning windows in a rental property in Redland Bay, the tenants needed the windows, screens, and all the glass cleaned inside and out, also they needed to get their carpets cleaned and pest control done to satisfy their lease obligations.If you live on the Brisbane bayside and need to get some window cleaning or carpet cleaning done call phil 0407 653 319. Window cleaning in Roberson today another two storey home a 25 year old house typical of the area solid old brick home. We clean the windows 2 or 3 times a year we try to keep them sparkling. call phil on 0407 653 319 if you need to getyour windows cleaned. Phils Cleaning are starting of the week Cleaning windows in a modern 2 storey contempary house set on a narrow block on the bayside suburb of Lota. Only a street away from the water and a house with lots of windows some high, some low. A few sets of louvres and we also cleaned their pool fence glass. Phils cleaning do a lot of window cleaning in the bayside suburbs including Wynum, Manly, Lota, Wakerley, if you need a window cleaner in one of these bayside suburbs give phil a call on 0407 653 319. Today Phils Cleaning are cleaning windows in a massive two storey house in Pullenvale. It took three people all day to get all the windows cleaned including vacuming the tracks, and cleaning the screens. The views from up on top of the roof were great out to Ipswich,all around to Brisbane city. If you live out the western suburbs and need to get your windows cleaned, or if you need to get your carpets cleaned give phil a call on 0407 653 319. If you need a window cleaner in Brisbane, and like employing small family based businesses, Give phil at phils cleaning a call for a free quote. And don’t forget we don’t just clean windows we can also clean your carpets, clean your lounge suite, or proffesionaly clean your tiles. For all your window cleaning, carpet cleaning, upholstery cleaning or tile cleaning anywhere in Brisbane give phil a call on 0407 653 319. Phils Cleaning are window cleaning in manly today,/the weather is glorious the boat harbour looks unreal, today we should be going fishing ! But no today we are cleaning windows in a old queenslander with a wrap around verandah lots of glass. Are you looking for a window cleaner in Brisbane? Do you want someone reliable who turns up on time. Someone who rings you up to let you know they are due to arrive to clean you windows. 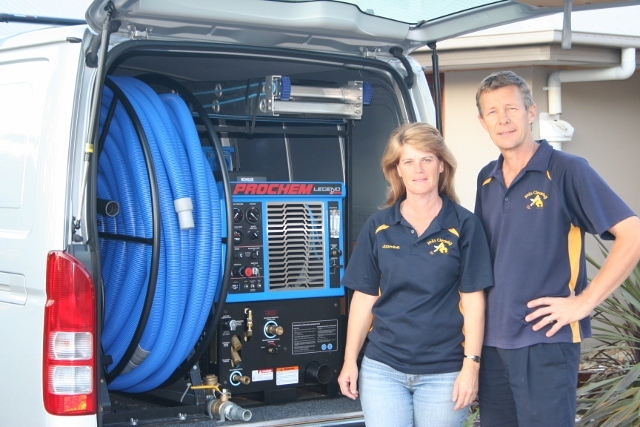 Are you after a window cleaning Brisbane company that offers a small family based business? Are you after a window cleaning business that have the correct insurance. Do you need a window cleaner that you can get to clean your windows on a regular basis? And most of all someone you can trust in your home! If you need someone like this give phils cleaning a call for a free quote on 0407 653 319. Today phils cleaning are window cleaning in browns plains, a typical 4 bedroom lowset house,the front windows are colonial bars all the rest are normal sliding windows, Security screens all around.The customer searched on google for window cleaning Brisbane and phils cleaning come up the top of the page so she rang us up for a free quote. We start with vacuuming the tracks. Then clean the screens and all the glass inside and out. The lady had a problem with her shower glass there is a white film over all the shower glass. This is caused by a build up of calcium, the best way to get this problem is after every shower to squeegee the excess water of the glass hence getting rid of the calcium before it dries out and leaves a stain. Phil from phils cleaning isn’t cleaning windows in brisbane this week as he is in Fiji celebrating his 30th wedding anniversary with wife jasmine!! But as next week gets closer he will be back cleaning windows again,so if you need a window cleaner in Brisbane and you like to employ a small family business please give phil a call on 0407 653 319. Had a window cleaning job booked in today in Kedron, the lady had another window cleaner around last week, arrived walked around the outside of the house and informed her he couldn’t clean her windows,as they were to high to be cleaned .Fortunately she then rang phils cleaning, we always carry three different ladders which should reach most difficult to reach glass. So if you need to get your windows cleaned and you live in the northside of Brisbane give phil a call on 0407 653 319. Today phils cleaning are working cleaning windows in Narangba.Another great response from our google advertising. A busy lady who works for herself and is very time poor found us online by searching for the phrase window cleaning Brisbane,after flicking thru our website and seeing all the services we offer she decided to go with a complete pest control service for both internal and external of her house.And to complete it off she used our window cleaning service and was so happy with the results she has booked in to get her windows cleaned in December just before xmas. If you live on the northside of Brisbane and need to get your windows cleaned give phil a call on 0407 653 319. Phils Cleaning have been working in Brisbane today cleaning carpets in a 3 bedroom apartment for a rental bond refund,they also needed a internal pest control as they had a small dog and the rental manager required a flea treatment. Today phils cleaning have been cleaning windows in newstead in a 3 bedroom unit right on the river in mariners reach.Lots of big sliding doors lots of glass to showcase the great views of the brisbane river.If you need a window cleaner in newstead or any other suburb in brisbane call phil on 0407 653 319. Today phils cleaning are window cleaning on a small farm in carbrook its one of our regular clients we do at least once a year. Window cleaning in greenbank today,a big ranch style home lots of verandahs and sliding aluminium doors,also a attached granny flat lots and lots of glass and lots of cobwebs due to the acreage. Today phils cleaning are window cleaning in a three storey house set on the hill overlooking manly harbour.It is a great day blue skies for miles and everyone seemed to be out for a walk passing all the boats. Phils Window Cleaning Brisbane is a small Family run window cleaning business,We specialize in repeat domestic window cleaning ie we have a list of regular customers who we clean their windows on a regular basis thru the year. Some clients get their windows cleaned once a year,while others get them cleaned three times a year. We start by brushing down the outside of the screens ,we then wipe down the mesh with a soapy microfibre rag.Then we loosen up the dirt in the tracks and vacum them out,How we wash the glass is the trick,we wet the glass with a lambswool t bar then using a microfibre rag we rewash the glass to get all the bugs of then rewash again wipe around the edge with a dry rag and then squegee of the glass.To finish up with a dry rag around the edge of the glass. Today phils cleaning are helping a young couple get their bond back on their rental property We start by steam cleaning all the carpets. Then we do a complete pest control service inside and out to help control all those nasties inc cockroaches,ants and fleas. Phils Cleaning are cleaning the windows of a massive two storey home in wavell heights with great views to the gateway bridges and the airport you can see the planes taking of in the distance. Phils cleaning are cleaning windows in bellbowrie today. A regular customer who gets their windows cleaned three times a year. A large lowset home with heaps of dirty windows and tracks that need cleaning! If you live in the western suburbs of brisbane and need any window cleaning,carpet cleaning,or pest control done give phil a call on 0407 653 319. Today we are window cleaning in kenmore hills,an older two storey house overlooking brisbane city it would be a great view for the fireworks. We cleaned all the windows inside and out cleaned the screens and vacumed the tracks. We also cleaned the shower screens did you know that if you squegee the shower glass of everytime you have a shower you can prevent the build up of soap scum and calcium stopping your shower glass from turning white! For all your window cleaning kenmore needs give phil a call on 0407 653 319. Preparing a house in sunnybank for its first open house! First we clean all the screens inside and out,vacum the tracks and then clean all the glass inside and out. Thats the window cleaning done.Then we steam cleaned all the carpets making it nice and sharp for their open house. If your thinking about selling your house and need to brighten it up call phils cleaning and i can organise a free quote. We are a small family run window cleaning brisbane business. We are a small family run window cleaning brisbane business.We clean windows the old fashioned way,lots of elbow grease , soapy water, and a squegee. We work in teams of two to get the job done quicker for you. We take our shoes off to keep your carpets clean.And we put towels down to place the windows on. Anyone out there in brisbane southside who needs their window cleaned please contact phil on 0407653319 for a free qoute. We are a small family run window cleaning business. Today phils cleaning are window cleaning in chapel hill,brisbane. we are getting a two storey house ready to go on the market. Did you know that Bright and Clear windows can increase the street appeal of your home, potentially raising the real estate value? Be the envy of your block – Our home Brisbane Window Cleaning services can actually make your home look newer and more appealing! When you have your open houses, clean windows make your house brighter and lighter! Today we did some window cleaning in hendra a massive big modern house lots of louvres and plenty of high glass right next to doomben racecourse.From up the ladder you can see the Cavalia tent. Phils Cleaning is a small family run Window Cleaning Brisbane business. Today we are window cleaning in new farm.A modern two storey house right next to new farm park.Lots of louvres and high glass nothing like a challenge! Are you a busy working couple, trying to juggle two jobs the kids school runs,sports on the weekends. You need to call phil and get phils cleaning to lighten up the load around the house. Today we are working in Albany Creek for a lady who needed to get a few services at the same time,We started by cleaning her windows,vacuming her tracks,cleaning the screens, Then we steam clean her carpets 4 bedrooms lounge dining room and study.And to finish it off we did a complete internal and external pest control in albany creek. Today Phils Cleaning are Window Cleaning in Forest Lake, A big 2 storey home with lots of glass, to start with a big void window above the front door which is always a challenge!Then a few sets of louvre windows which come up a treat! And to finish it all we cleaned all their pool glass.For all your window cleaning forest lake needs call phil on 0407 653 319. For all your window cleaning springfield lakes requirments, Call phil at Phils Cleaning. We Clean all types of windows from Commercial Window Cleaning Springfield Lakes we can clean your shopfront windows,office windows,warehouse windows. To Domestic Window Cleaning Springfield Lakes we can clean your lowset house windows , Two Storey house window cleaning. Also we clean windows in townhouses and apartments. Today Phils Cleaning are cleaning windows in Browns Plains,This particular customer wanted us to clean some windows for a friend of hers as a surprise present. Lots of fun the lady loved her sparkly clean windows! If you want any window Cleaning done in Browns Plains or surrounding suburbs Boronia Heights,Heritage Park,Hillcrest call phil on 0407 653 319. For the last two days phils cleaning have been cleaning the windows in a retirement village in eight mile plains.As part of our commercial window cleaning brisbane business, we clean all types of glass from retirement homes,car yards,office fronts and schools. Give phil a call on 0407 653 319 for all your commercial window cleaning needs. Phils Cleaning is a small family based window cleaning business, Today we did a window cleaning job in east brisbane. A big old queenslander with all sorts of windows from old leadlight casement windows,to modern timber french doors. All cleaned between the rain drops! Today much to the clients delight we have done a window cleaning job in Aspley Brisbane. Even with heavy rain clouds hanging around, our customer had a function on the following day and was delighted to have her windows sparkling. As part of our window cleaning Brisbane service we had a call from a lady in Kenmore, who was thinking about putting her house on the market.She had a open house coming up on the weekend and wanted the windows to sparkle! The lady had been advised by her real estate agent the importance of having clean windows and screens, So she called us at Phils Cleaning for a quote,and we booked her in for a window cleaning Pre sale clean. Bright and Clear windows can increase the street appeal of your home, potentially raising the real estate value? Be the envy of your block – Our home Kenmore Window Cleaning services can actually make your home look newer and more appealing! We did a carpet cleaning job in carina today.The lady had had a bit of a accident with a candle, The result being a big blob of candle wax on her carpet. Fortunately for her we were able to remove the wax and clean the rest of her carpet. The look of relief on the ladies face was worth it all! This window cleaning St Lucia, Brisbane, job we did, came from a google search for window cleaning Brisbane. It was in St Lucia and was a bit of a challenge! It was a 3 storey house built into the side of a hill. Lots of sets of louvres some especially high! And yes we do clean louvres! The 3rd storey glass presented a few problems as my ladder couldn’t reach the roof line, so we accessed the roof via louvres in a bathroom, I had to take some out to get access to the roof. The end result another happy customer. Todays window cleaning mt ommaney job was a big lowset house ,it had fly screens all around and we were able to remove them easily and cleaned them thoroughly before replacing them, This job turned out bigger than expected as the lady wanted her glass pool fencing cleaned aswell ,it all come up well and looks like we will be doing it on a regular basis. Window Cleaning in Chapel Hill, Brisbane,today.We are cleaning the windows on a low set home that needed a bit of brightening up. Window cleaning in Springwood,Brisbane, today, Did a clean for a busy working couple who dont have time to clean the windows themselves. A nice lowset come up a treat! Anyone in surrounding suburbs Underwood,Rochedale,Loganholme need a window cleaning quote please give us a call. We had a lady call us yesterday, urgently needing to get her windows cleaned as she had a function on tommorow. She already had someone booked in ,but something had come up and they were unable to do the job. Fortunately we were able to clean her windows for her,another happy window cleaning clayfield customer. Working in mount ommaney tommorrow 29/3/2012 Anyone who needs a quote while i am in the area if you live in jindalee,sinnamon park,middle park,westlake and you need a window cleaning quote give me a call. Doing a window cleaning job in springfield lakes today,Tenants need their windows cleaned to help them get their bond back. Then of to Wishart another rental clean,this time as well as window cleaning we are cleaning all the carpets. Then to finish it off an internal pest control for fleas and cockroachs. Working in Underwood , Brisbane today, Cleaning the windows in a two storey house for one of my regular clients. Then of to brisbane to clean some windows in a apartment overlooking the Story bridge. As well as the apartment windows we will be cleaning the glass balustrading. Anyone needing a quote on some window cleaning on the southside of brisbane,mt gravatt,mansfield,wishart,camp hill,holland park,greenslopes,call me and we can organise a quote. As we are a small family business we don’t employ casuals to do the window cleaning for us. We take pride in the fact we do the work ourselves!If you live in the Kenmore area and need to get your windows cleaned, Call us know for a free quote . Window Cleaning in Jindalee brisbane,Today we did some window cleaning and carpet cleaning in a rental property in Jindalee, It makes it easier to get your bond back with some nice clean windows you can see straight thru. Carpet Cleaning and Pest control Parkinson,another rental move out this time in Parkinson.We offer a combination offer for people moving out who need their carpets cleaned and are required by their property managers to do a internal pest control. Did some window cleaning in a townhouse in Jindalee today. We will make your windows sparkle and shine! No messy streaks to obstruct the view. Bright, clean, and clear windows to enjoy the beautiful Brisbane sunshine. Our Brisbane window cleaning team will give you the brightest, cleanest windows in Brisbane. Started window cleaning today at munruben,Lady was preparing her house for sale.She was amazed at the difference it made,and how light the house seems after a full window clean. Residential Window Cleaning Brisbane is about more than keeping your home looking its best – did you know that Bright and Clear windows can increase the street appeal of your home, potentially raising the real estate value? Be the envy of your block – Our home Brisbane Window Cleaning services can actually make your home look newer and more appealing! Window cleaning st lucia, another 3 storey house in st lucia,a nice modern house with lots of glass for one of my regular clients. Window cleaning in Chelmer today,a great old 2 storey house near the river old casement windows,all come up good,another happy customer. Window cleaning in springwood today, Then off to Kenmore for another 2 storey window cleaning kenmore job. Window cleaning in eight mile plains this morning, Then off to do some more window cleaning at Jindalee . Window cleaning brisbane today cleaning a 3 bedroom apartment including all the glass balustrading,and all the internal mirrors.The customer needed a brisbane window cleaner to clean the glass as they didnt have the time to get it done. Thinking about selling your house? Before you list your house,or before your first open house, make sure to give Phils Cleaning a call.We will come and clean your windows, vacum your tracks,and clean your screens. Did you know that Bright and Clear windows can increase the street appeal of your home, potentially raising the real estate value? Be the envy of your block – Our home Brisbane Window Cleaning services can actually make your home look newer and more appealing! Call us know for all your window cleaning needs in the brisbane bayside area. Window Cleaning Canon Hill,Phils Cleaning are window cleaning in Canon hill brisbane,also window cleaning in camp hill this afternoon. Carpet Cleaning and Pest Control Brisbane,for all your carpet cleaning and pest control brisbane requirements, call phil at phils cleaning, we provide a quality service at a affordable price. Window Cleaning Runcorn,doing a window cleaning job in runcorn today,then off to do a window cleaning job in bardon a 2 storey house. Carpet Cleaning and Pest Control Springfield Lakes Brisbane, Phils Cleaning are Cleaning carpets in Springfield Lakes Brisbane today.A tenant needed to get her carpets cleaned and a internal pest control service,as part of her end of lease clean. 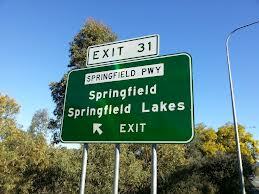 For all your carpet cleaning springfield lakes needs,please give phil a call on 0407653319. Window Cleaning Sunnybank, need some windows cleaned in Sunnybank? We are cleaning windows in Sunnybank today,a typical Sunnybank 2 storey red brick home.The elderley couple have lived in the same house for 30+ years. For all your Window Cleaning needs please call me on 0407653319. Window Cleaning The Gap,window cleaning in the gap today,a big lowset house set over three levels.Lots of glass! Please give me a call on 0407653319 for any questions regarding cleaning your windows in any brisbane suburb. Window Cleaning,Carpet Cleaning Red Hill,did some window cleaning and carpet cleaning in a townhouse in red hill today. call phil on 0407653319 for a free quote. Window Cleaning Ashgrove, Phils cleaning are Window cleaning in ashgrove today,a split level home with some awkward hard to reach panes of glass,but with the right ladders and reach it poles we managed to do the job safely.For any window cleaning ashgrove needs please give me a call on 0407653319. Window Cleaning Morningside,Window cleaning in morningside today a 2storey house for a elderley lady who has lived in her house for over 50 years,she had seen some changes in morningside over the years.If you need any Carpet cleaning,Window cleaning or upholstery cleaning done in morningside please give phil a call on 0407653319. Got Dirty Windows, Got dirty windows and need to get them sparkling again give phil a call for all your window cleaning brisbane needs.